A fabulous seating chart idea that helps your guests immediately know how others met the couple from Wedding Style Guide via Brooklyn Bride; gorgeous ribbon for your favors from soon-to-be-relaunched Nice Package previewed this week on Creature Comforts (exciting! ); a (literally!) 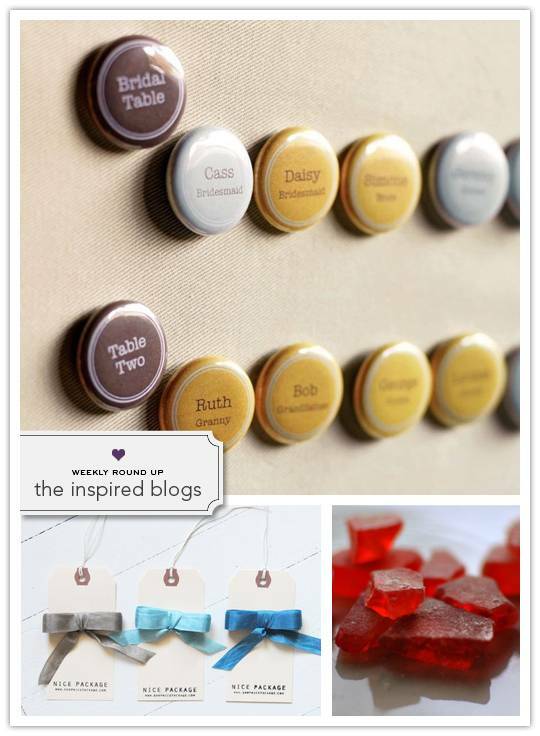 sweet idea for seaside favors in the form of sea glass candy from Intimate Weddings via Craftig and Erin Vale Design.